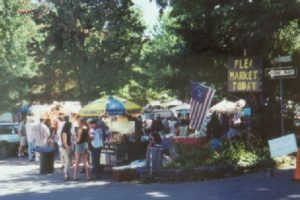 Mower’s Saturday Flea Market is held in Village Green, Woodstock, New York spearheaded by John and Janine Mower. The couple boast the market to sell an assortment of products ranging from antiques, artworks, and jewelry to records, postcards, books, baseball cards and fresh produce and flowers. Aside from the unique goods that are offered to the customers, the flea market is also flooded by artisanal food vendors selling a variety of foodstuff like Amish pickles and gourmet hotdogs. Buying is also made more fun and livelier by the music played by musicians set up nearby the place. Some unique finds in Mower’s flea market include booths that offer free hugs and another one that sells raffle tickets to the Army-Navy game. For more information about Mower’s Saturday Flea Market, see the details below. Unlike the usual flea market that can be found outdoors, the Treasure Mart is situated in a building where a variety of items including mid-century home furnishings, ceramics, jewelry, vintage clothing and other items are sold. The three-story shop is located on Ann Arbor-Detroit area, a once historic building established during the mid-19th century. 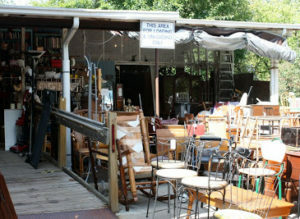 First used as a planning mill by John G. Miller, the Treasure Mart also has outdoor area filled with vintage patio furniture that has lasted for decades. Everyday, at least 2,000 new items are added to Treasure Mart’s inventory and within just 30 days, roughly 75% of the items are sold to buyers. History has it that at one point, a Biedermeier bedroom set was sold for $8,000. At present, the item would have sold for $30,000. Though expensive rare items can be bought from the establishment, a lot of cheap items are also available. You can even buy a postcard for 25 cents. 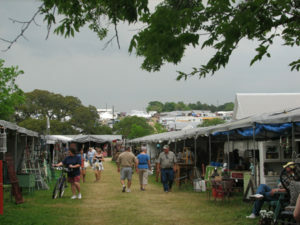 Texas Antique Weekend is a most anticipated flea market event held twice a year in Texas. The flea market is situated along Highway 237 between Houston and Austin. Sellers and vendors from different parts of the country flock to Texas every April and October to peddle their goods that may include Majolica ceramics, Victorian antiques, ranch oak furniture and mid-century holiday decorations. In fact, it has been mentioned by Stan Williams, author of The Find: The Housing Works Books of Decorating with Thrift Shop Treasures, Flea Market Objects, and Vintage Details as the top destination when it comes to flea market event. Every scheduled event, more than 100,000 people go to Texas to check out Texas Antique Weekend. Locals and tourists do not have any problems when it comes to food as there are a lot of food establishments that offer a wide variety of meals for people of all ages. For those who opt to stay for the weekend, there are lodges and motels and some RVs that can be rented for those who want to experience spending the night on the road. Check out the details below for more information about Texas Antique Weekend. The Long Beach Outdoor Antique and Collectible Market in Long Beach California boasts of the variety of outdoor furniture, garden ceramics and statuary that it offers its patrons. 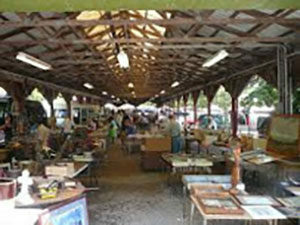 The market has been operating since 1982, taking place on every third Sunday of the month at Veteran’s Stadium. At least 800 sellers fill the 20 acres of Long Beach, offering an assortment of quality goods ranging from antiques, various collectibles and other vintage products that can be bought at a cheap price. People love going to the flea market because they can roam the streets freely, with the goods spread out on the road. In addition, there are real restrooms built along the area so people do not have any problem looking for them. The location also provides an ambient atmosphere with the sun bathing the whole area and the wind from the sea cooling the environment. 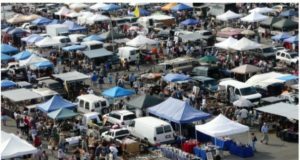 Furthermore, it has been cited as one of the top ten flea markets in the U.S. by Good Housekeeping, Best Flea Market in Orange County by OC Weekly and it was also the recipient of the Readers’ Choice award for the Best Antique Market by The Press Telegram. For more details, check the information provided below. In Northern California, one of the most famous antiques shows held is the Alameda Point Antiques Faire held in Alameda Flea Market in Alameda, California. The event is held on the 1st Sunday of every month with at least 800 sellers filling the market. During each show, a number of antique dealers and serious collectors visit the place in hunt for various collectible items. The things that can be bought from the market range from vintage electronics, clothing, jewelry, furniture, works of art, pottery, books and many others. 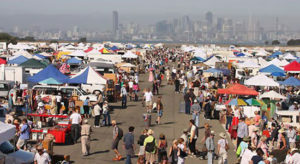 Alameda Point Antiques Faire has also been hailed by Architectural Digest as one of America’s best flea markets. Aside from sellers offering different collectible items and other products, Alameda is also surrounded by a number of food establishments that offer a variety of delicacies. Bars and hotels can also be found on various points so people will have no problem finding a place to relax after their adventures in Alameda Point Antiques Faire. For more information, refer to the details provided below. 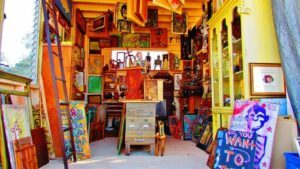 The Golden Nugget Antique Market in Lambertville, New Jersey is a combination of both indoor and outdoor market that sells a variety of products like antiques and arts that started operating in 1967. Each week, it is visited by a number of people scavenging for price-worthy antiques and cheap-finds. The Golden Nugget Antique Market also offers a wide range of other vintage items like home furniture, clothing, jewelry, Victorian collectibles, sports memorabilia, pottery, books, watches, coins and many more. The market is also famous for the diversity of home decors that can be bought from here. According to its organizers, people of all ages go to the market to search for things that make them reminisce of their former homes and towns. In addition, customers frequent the market because of the items that turn up unexpectedly. These people enjoy rummaging through the stuffs and hunting for rare items that may be found in Golden Nugget. Furthermore, buyers need not to be shy about inquiring for items as the vendors are friendly and do not hesitate to provide additional information to their customers. Aside from being an antique market, some sellers also offer other kinds of merchandise and there also a couple of restaurants nearby where people can satiate their hunger after exploring the flea market. 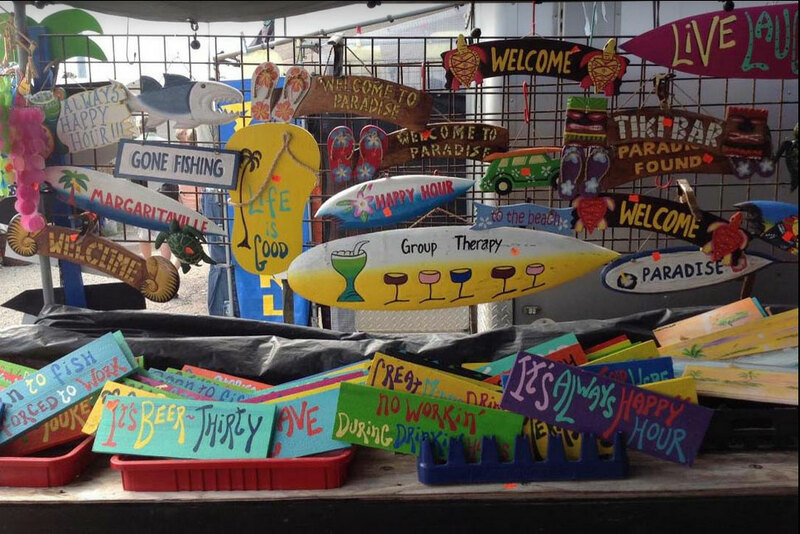 The Renningers Mount Dora Flea Market and Antique Center opens every weekend in Lake Country, Florida. The market offers a unique vintage items and a number of sellers also offer other items like furniture, leather goods, jewelry, herbs and spices and seafood. In addition, special events like Antique Extravaganza during November, January and February, the Mud Fest Family Mud Truck Race, Guitars and Cars music fest and car show, the Vintage Garden Show, the Fall in the Field Décor Show and The Christmas Show add to the attractions of the flea market in Renninger. To spread information regarding the products sold in the market and other special events, the official website of Renningers Mount Dora Flea Market and Antique Center also issues a news guide and blog articles published monthly. The articles issued focus on the various categories like food, antiques, home decors, vintage fashion and antique care products. For those who are interested to be a part of the flea market, they can use the information provided below. During mid-May, July and September, the Brimfield flea market in Massachusetts opens for six consecutive days. It was founded by Gorden Reid in 1959 when he started an outdoor market on his own backyard. 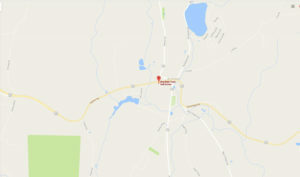 At present, at least a million visitors come to Massachusetts to check out Brimfield flea market. The shops offer a variety of products ranging from vanes, decoys, and Nantucket baskets to mechanical parts of some ships. As one passes by the town’s main road, he can see hundreds of vendors flanking both sides of Route 20, selling the best of their items. Some of the most popular shops visited by customers are Dealer’s Choice which sells high quality furniture; Heart-O-The Mart, known for selling hobnail glassware and intact grains sacks; and J&J Auction Acres, which offers colonial cherrywoord chests and convex mirrors of high quality. Aside from these shops, a number of vendors also sell delicious food like the fresh-popped kettle corn, the Pilgrim Sandwich, roasted turkey and $10 lobster rolls sold in generous servings. The New England Motels offers the largest court area and an incredible serving of French fries. Additional information are listed below. We found a pretty cool cold pressed juice machine used which we are excited about trying. Brooklyn Flea is one New York’s finest attractions especially for those who like to hunt hard-to-find, rare and cheap items. The flea market was established on 2008, providing a place for various vendors to sell various products from furniture, vintage clothing, collector’s items and antiques, as well as hand crafted jewelries and art pieces. As people flock Brooklyn Flea every weekend, they are also offered with a variety of foods and dished sold in the area. It has also been mentioned by various magazines like The New York Times, Travel + Leisure, Country Living, Budget Travel and Fodor’s as one of the best flea markets in the United States and the world. From April to October, vendors sell their products outdoors. 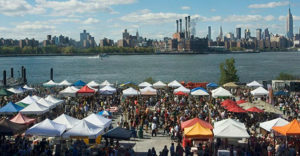 Aside from the retail shops, there is also Smorgasburg, a market that solely sell food products during Saturdays in Williamsburg and Sundays at Prospect Park’s Breeze Hill. Smorgasburg caters the best of Brooklyn’s dishes and delicacies served by the entrepreneurs in table settings set on the streets. From November through March, the sellers bring their goods indoors while every summer, some Brooklyn Flea and Smorgasburg food vendors go to the Central Park Summer Stage concert series to sell their products.